The Worship Area has seating for about 150 people with a permanent stage at the front and a hatch through to the kitchen. 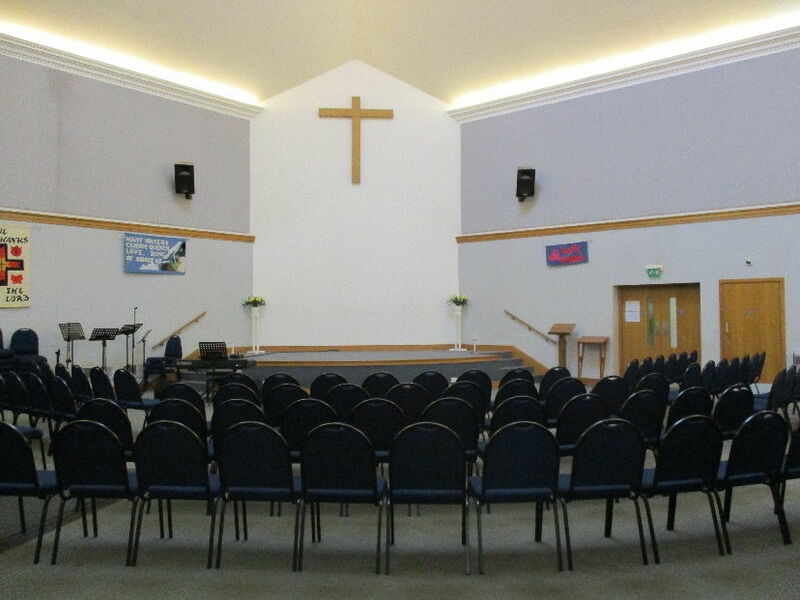 It is ideal for conferences, meetings, concerts and, of course, weddings, baptisms and thanksgiving services. 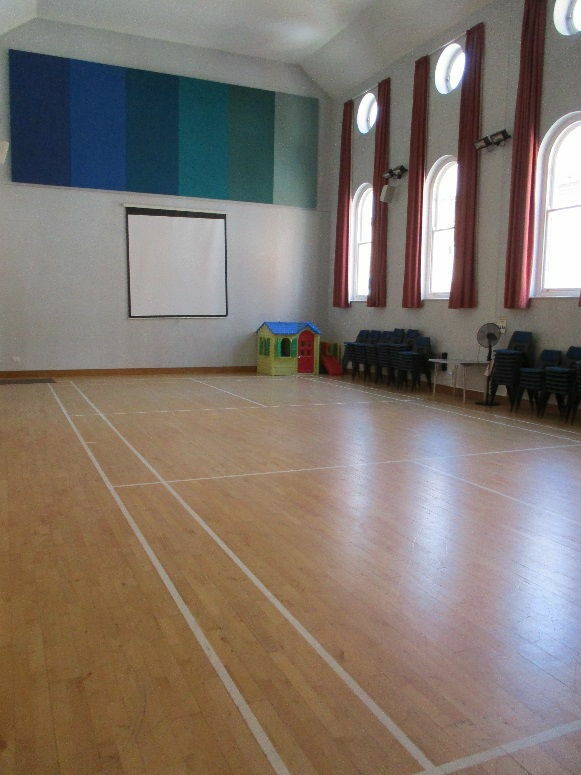 We have an audio-visual system, which is available on request. The Worship Area is wheelchair accessible, with the exception of the steps up to the stage. There is a built-in baptismal pool with men's and women's changing rooms nearby. 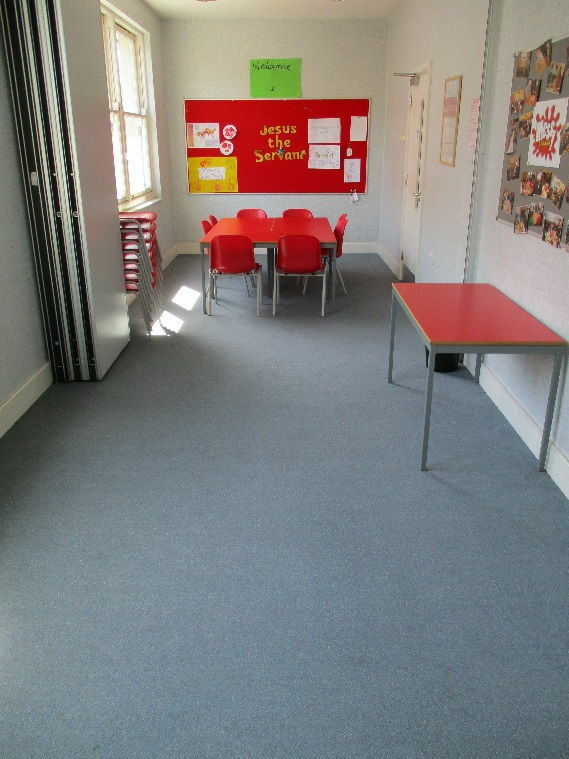 The hall has seating for about 100 people, depending on how the room is set out, with a hatch through to the kitchen. It is suitable for meetings and conferences, or for buffet meals. 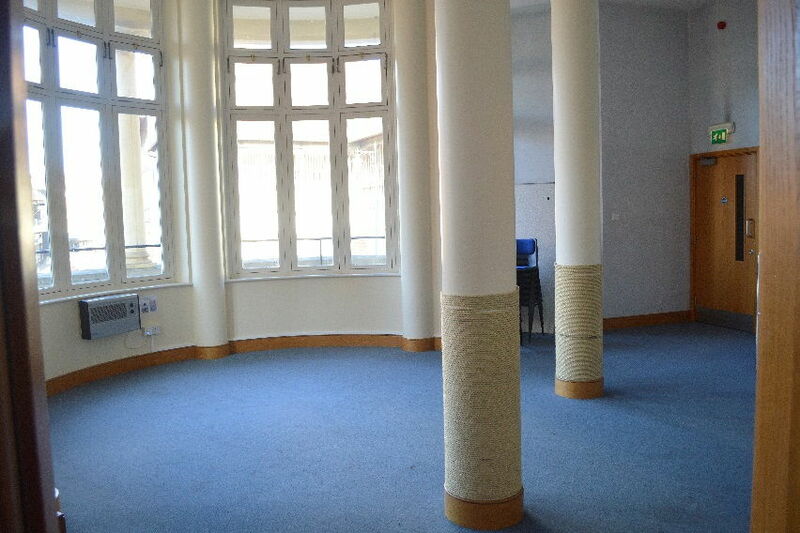 Suitable for meetings or workshops for about 15 people; facilities for making hot drinks are available on the same floor on request. 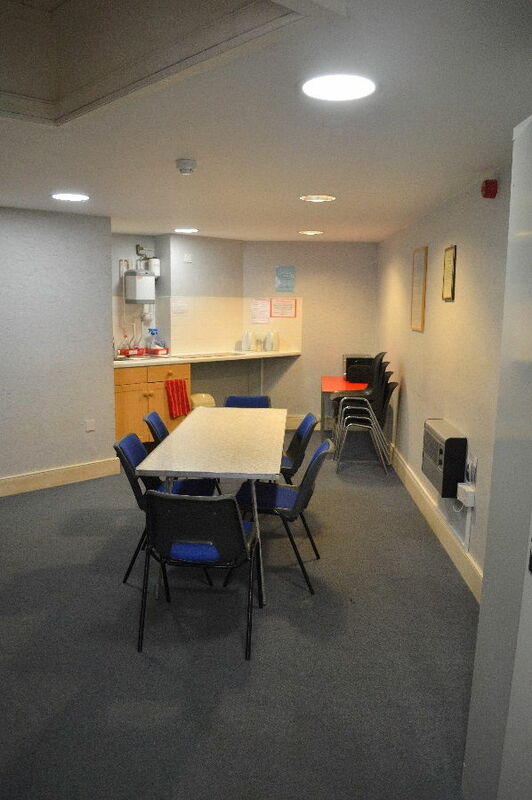 Suitable for meetings for about 8 people, the funny-shaped room has kitchen facilities for making hot drinks. 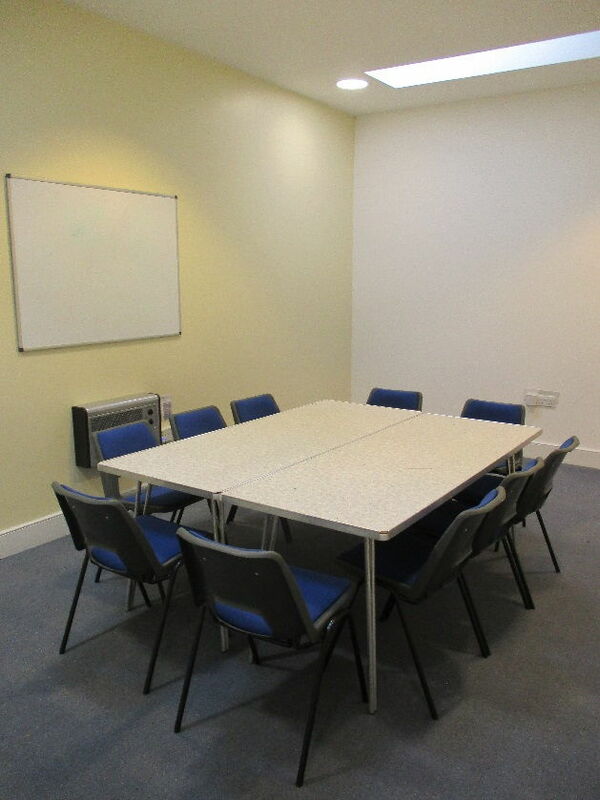 Suitable for meetings or workshops; facilities for making hot drinks are available on the same floor on request.